Everything you need to make 25 pounds of delicious snack sticks except the meat. 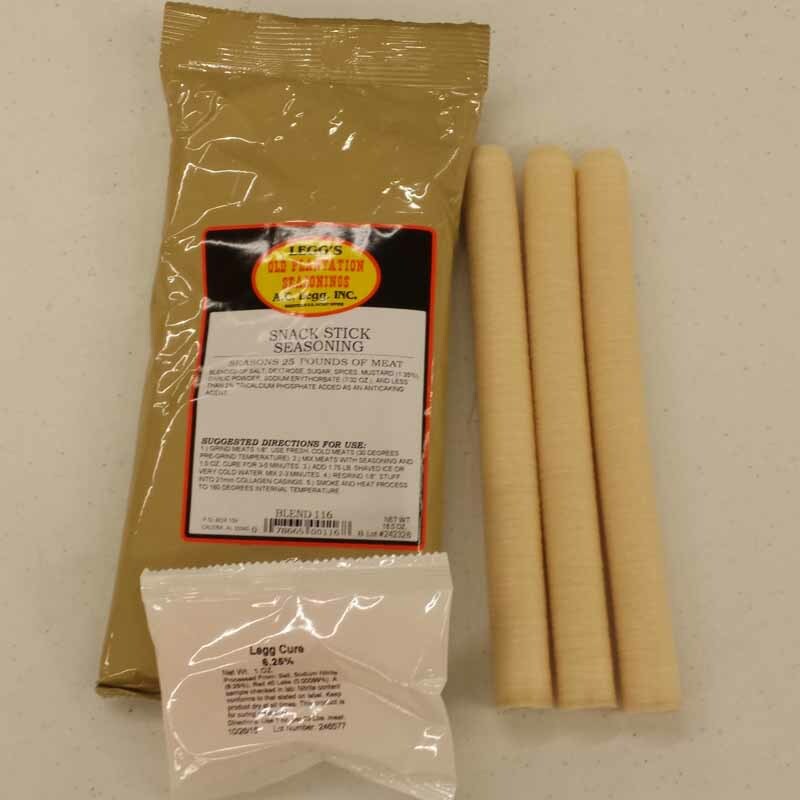 Includes Leggs Old Plantation Snack Stix Seasoning, 21mm collagen casings, cure, and directions. Can be used for wild game, beef, pork, poultry. From Jason of Laurinburg, North Carolina on 1/18/2018 . 8/6/2017 – Do the summer sausage and the snack stick need to be smoked or dehydrated or does the cure in the recipe preserve them?